Aerocoach Australia provides affordable high quality aerodynamics testing for cyclists and triathletes. A pioneer in the practical implementation of aerodynamics testing with a power meter, Alex Simmons has been testing cyclists' aerodynamics for a decade and in 2011 he and Ric Stern launched Aerocoach. In the UK, AeroCoach Ltd is now owned and operated by Dr Xavier Disley, while Alex owns and operates Aerocoach Australia. Alex has worked closely with Alphamantis, the developers of the Track Aero System, since its inception and he seeks to continually refine and improve the aerodynamics testing systems, technology and process. Alex has provided aero testing services for professional cycling teams and individuals, equipment manufacturers as well as many amateur road, track and time trial racers and triathletes. He writes regularly about cycling performance matters, has provided people around the world with aero self-analysis tools as well as presented seminars and workshops covering both the theory and practical implementation of aerodynamics testing for cyclists. Alex's clients have achieved several world records and won national, continental and world championships, attained Kona qualification and set many time trial personal bests. 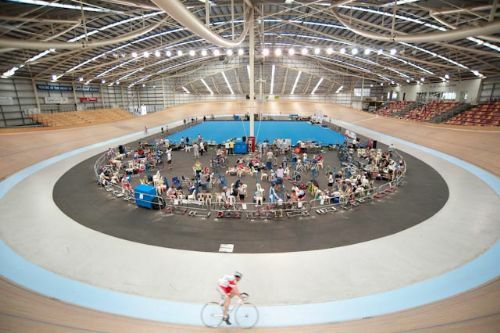 Aerocoach Australia's primary testing location is Sydney's Dunc Gray Velodrome. We can by appointment test at other locations and have conducted testing at Melbourne's DISC velodrome and at Perth's Speedrome. Brisbane's new Anna Meares Velodrome also offers an option for those in Queensland and northern NSW.